Gluten Free flour is an essential part of the gluten free lifestyle. Finding out which one to use can be quite the task. There are different tastes, consistencies, and way of using these flours that are necessary to consider when using them in cooking or baking. But what kinds are the best to use? It much depends on what your personal preference is and what is called for in a recipe. 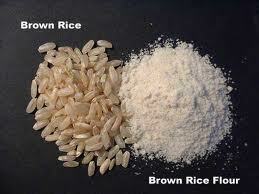 So it is important to educate yourself beforehand on what to expect with each flour before using it. Below are just a few flours that have made it to this page so far. I have used each one of them personally and find some better to use in certain recipes than others. I have often heard it said that Brown Rice flour, although very popular, is actually not very good for you because of its high starch content which turns into sugar if you’re not careful. They often caution in using too much of it. I actually quite like it and find it useful from time to time. It makes a great add-in for many GF all-purpose flours. And it is pretty easy to make at home. 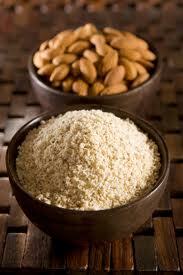 Quinoa flour is another up and coming popular gluten free flour. Because this flour has so many benefits and is so worth a try, Here is a page that exclusively explains it, click here. Teff Flour is one that is becoming a gluten free flour favorite the world over. It has actually been around for thousands of years but is now surfacing the scene to make way for some really eccentric and tasty dishes. To find out more about teff flour, click here. 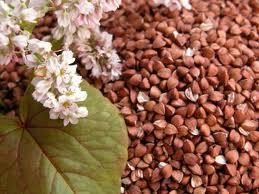 Buckwheat flour is gracing the gluten free diet plan as well. This grain, believe it or not, is gluten free all the way. Despite its oxymoron roots, it swings 100% on our side. How cool is that. Their root are from Southeast Asia and has been known to rear its fabulous head (of grain) in Tibet, the Middle East and worked its way into Europe. It is NOT a grain but actually a seed that comes from a flower. Although it has many uses, including filling pillows (Yes, you read that right!) it is best known for its noodles, beer and grain-like farina. 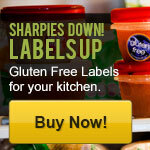 A fabulous addition to any gluten free diet. Oh yeah, by the way, it is high in protein to boot. Sweet! And I couldn't forget about Almond Flour or Almond Meal (same thing really)! This delicious and calcium rich flour is a must have if you are not allergic to almonds. It makes your meals that much more decedent. As a flour, it is moist and easy to use. Not to mention this protein rich flour has sailed its way over here from the northeastern Indian continents near Syria, Turkey, and Israel. Then traveled along the shores of the Mediterranean to make its way over to us! We would be considered inconsiderate not to use this wonderful flour in our gourmet gluten free cooking. Not to mention how good it is as a milk alternative. Almond Milk. What a magnificent world we have entered. 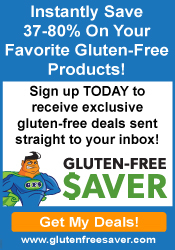 A world that allows our palette to experience a whirlwind of new flavors and delicacies known the world over for centuries; Gluten free living has opened that all up to us! Be grateful for that and share your passion with others!